After the Georgian army launched a full-scale attack on the capital of South Ossetia in August 2008, then-Russian President Dmitry Medvedev ordered Russian troops to intervene, the hardest decision of both his political career and life. In the night of 7 to 8 August, 2008, Tskhinval came under attack by the Georgian army, which violated a truce and killed dozens of Russian citizens and peacekeepers stationed in the city. The Russian military intervened, and within five days the conflict was over. Dmitry Medvedev, who at that time had spent less than three months in office as president, spoke with RT’s Oksana Boyko about how it started and the behind the scenes political gambles that led to the conflict. RT: Now that it’s been five years, the international community has all but forgotten this war, because there have been many other conflicts, some of them even more horrible. But I am sure you haven’t forgotten those days. What is the first thing that comes to your mind when you think about it? 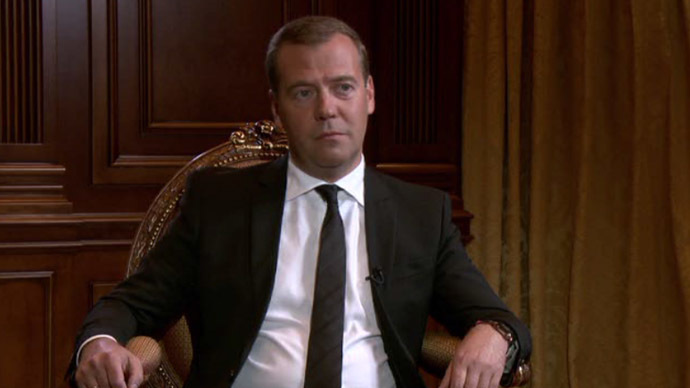 Dmitry Medvedev: You’re right – thank God, this conflict did not last long. But it was burned into my memory, and I think it is the same for many other people, especially those living in the region. The first thing I remember is how this all started, what was going on. The situation was very tense. I have to admit, I remember how difficult it was for me to make a decision. This was absolutely the most difficult decision I’ve ever had to make. It was difficult for me as a person and as a new president who had spent less than three months in office. But that’s the wheel of history, and sometimes there's nothing we can do. RT: Officially, the war broke out on August 8 but tensions obviously had been escalating for a few days, or even weeks, before that. When did you get reports that Georgian troops were massing on the border and were you aware of the actual plans of the Georgian authorities? DM: Of course, I had been getting reports for a few days prior to that that there were troops concentrating on the border and that there were some provocations and incidents. But since this conflict had been simmering for years and we had our peacekeeping forces there, we tried not to jump to conclusions – but still, we were alarmed by those reports. And then, in the still of the night, they opened fire, and it became obvious that the situation was escalating. But still, until the very last moment, I was hoping they would stop. Then, around 1 AM, when I talked to the people who were directly involved in the situation, it became clear that those were not just minor provocations but a full-blown attack, intended to turn the situation in South Ossetia around by force and overthrow its government. So, after that was reported to me, I had to make a decision, a very difficult decision. I had to give the order to open fire on Georgian troops. RT: Do you mean that this was, if you will, an opening gambit, a complex strategy? DM: Yes, you're right. I think several factors came in to play. Firstly, Mr. Saakashvili was probably under the illusion that after the change of leadership in Russia, he might quietly pursue his agenda, which was previously beyond his reach and the reach of his predecessors. Secondly, and I've said before, I think the support that Saakashvili received from the United States and some other countries played a certain role. And it wasn't just plain encouragement, but there was financial support as well. Let me remind you that by 2008, Georgia’s defense budget had grown to almost a billion dollars, 50 times what it was in 2002. Clearly, Georgia was boosting its military might, and something like this always affects policy. 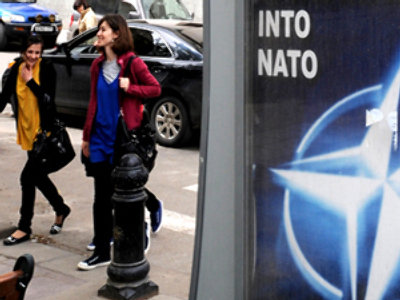 It seems that there was an understanding that since Georgia applied for NATO membership and the bid was not rejected outright, it was, so to speak, on some kind of waiting list, and that it was invulnerable. They almost felt like the NATO collective defense principle applied to them as well. So, I think that all of these factors eventually led Saakashvili and some of his advisers to believe that they could achieve their goals by force. 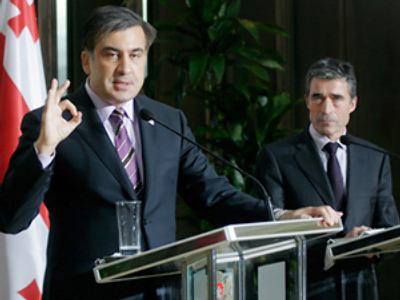 RT: Many experts believe that Saakashvili may have considered two possible scenarios. The first one was based on Russia not getting involved in the conflict, for whatever reason. The second was that Russia would act rashly and go overboard – making it easy for Georgia to portray it as the aggressor and gain international support, in order to fix the obvious imbalance of power between the two countries. How feasible do you think this second plan was? DM: You know, I don’t hold Saakashvili's diplomatic and military talents in high regard. I don’t think he was counting on the second scenario. It would have been too complex. I think he was hoping that Russia wouldn’t get involved in the conflict, so Georgian troops would quickly enter Tskhinval, gain control over all of the main buildings, and restore what they thought was constitutional order, riding on the wave of support from the United States and some other countries. The second scenario was very risky, because “going overboard”, like you said, would have had some serious consequences for him personally as well. RT: I have a few questions about that too. But before we go there, I would like to talk about the movement of Russian troops in the area, on Georgian territory. I know first-hand that there were air-strikes on some Georgian towns – Gori, Poti, Kutaisi… Did those strikes have a strategic value for the Russian army, or did they happen just because they happened? DM: This was not strategic and it didn’t happen “just because it happened.” But war is war. And in war you have to destroy the enemy’s military targets. Targets that had a potential to hurt the Russian army and civilians in South Ossetia, Abkhazia – Russian citizens. So that's what we hit, not civilian targets, no matter what his (Saakashvili) propaganda machine claimed. Our goal was to disable military targets, including airports, so that the enemy wouldn't be able to fly jets out, transport military equipment and hardware, etc. RT: I had the opportunity to cover many conflicts – in Libya, in Syria, and in a number of other countries. 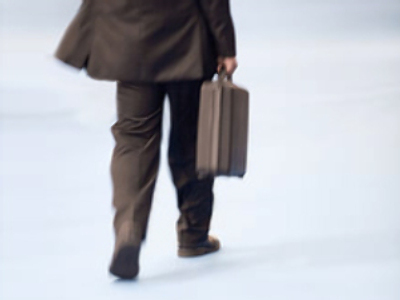 One of the buzzwords of today’s geopolitical vocabulary is ‘mission creep’. It means an operation that starts as peace enforcement and ends with the toppling of a country’s leader. In this regard, I’d like to ask you, was there a chance of mission creep in that conflict? DM: This is exactly where you, as they say, “feel the difference”. I believe that in situations like this, a country reveals its true intentions. Initially, we never had the objective of changing the ruling regime (in Georgia), even though, for obvious reasons, my colleagues and I will never shake hands with Mr. Saakashvili again. I consider him a war criminal. Nonetheless, we believed, as we still do, that it is the people's responsibility to deal with their own leaders. We believe it’s wrong to change a county’s political structure, and to put people of your own choice in power, in violation of the UN Charter. We believe that in the 21st century people should act differently, and that governments should act according to different principles, the principles of international law. RT: In your reply, you said ‘we’ a number of times. I know it's not the first time you've been asked this, but this question is hard to avoid. As I understand, during that time you stayed in contact with your predecessor and closest colleague, Vladimir Putin. Did you have any disagreements with him? DM: Well no, our understanding has always been very similar. But I can tell you that the burden of responsibility for such tough military decisions always lies on the one who is given the authority to make them under the Constitution. There’s no way of avoiding this. There's only one person who can make this decision, and there's nothing more to it. We talked on the phone… some time before these events, as there had been a certain escalation in the region. During the night of the attack Mr. Putin and I didn’t talk at all. I was just getting reports from our army's top commanders. Basically, it was after receiving those reports that I made the decision, which I consider the most difficult of my whole life. As for disagreements - there weren't any. We had discussed the matter a number of times, even before I took office. RT: Let’s go back to Saakashvili’s plans to portray Russia as the aggressor in the eyes of the international community. I cannot help but admit that at the early stage of the conflict he was quite successful at that. How significant was the role of the international community in your forecasts and in your efforts to formulate an adequate response? Did you think you could count on Europe and even the United States to judge Russia’s and Georgia's actions fairly? DM: In fairness, I was expecting a more unbiased approach; however I had no illusions. I even recall the first thing I heard from my colleague-to-be, George W. Bush, when I was visiting the White House as the head of the presidential Administration. He said "well, Misha Saakashvili is a good guy". That was the first thing I heard from him. On a more serious note, the reaction of our international partners was very important for us, for our country and for me personally as president. But this was not the main point. The main thing was to protect Russia's interests as well as the lives and wellbeing of our citizens. To be honest, the international reaction was not on top of my list of concerns. I won’t say that I didn't think about it, but it was a minor thing. RT: The position of the US in this conflict was quite interesting and twofold: It supported Georgia through diplomatic channels and in the media, but it didn't follow through. Why do you think that is? DM: This is because this is Russia. The US had better not be at odds with Russia, and every US president understands that. There were hot-tempered people involved and we all know that, but I believe that the deliberations were quite cool-headed, because it might have resulted in a very serious conflict. Nobody wanted this to happen. That’s why, as you've said, the USA adopted a two-pronged approach which was a great disappointment for most of Georgia’s pundits. RT: To what extent do you think the US authorities were informed of the plans? Do you regard it as a joint Georgian-American plot or as a risky undertaking of the Georgian president alone? DM: I don't know… But I believe that the USA is a large, mature and powerful state that pursues its own interests all over the world. I don’t think that such a simple plot with Mr. Saakashvili, which as we know ended in such humiliating failure, would be in line with the interests of the US. Not laying all cards on the table is one thing, but putting on such an act is an entirely different matter. In my opinion, he overreached. But more likely, this was a bad bet that turned out to be criminal for the Georgian leader. RT: We have already discussed your work, but I’d like to ask a few questions about ours. Journalists often view themselves as independent voices in any conflict…I am quite skeptical about this, as I personally saw journalists taking sides. In your opinion, what was the role of the mass media in that war? Was it driven by duty, or was it used as a weapon in this geopolitical game? DM: Unfortunately, I can’t help but agree with you. Around 90 per cent of reports in respected international media was pure propaganda, and only 10 per cent was the truth. It was a personal disappointment for me, and I am under no illusions. But the way certain media behaved in that period was a blatant example of cynicism. They passed black for white, Russia was declared the aggressor, and some time had to pass before they started acknowledging that Russia had been tough, but it was a justified response to the attack. And now, when we have the results of analyses by numerous independent commissions, including Tagliavini’s, everybody recognizes what really happened. RT: I remember that at the time, many members of your own press service were working in Tskhinval, I mean the Kremlin staff who organize summits and high-level official meetings. On the one hand, it shows the importance of working with the media, which the Kremlin recognized at the time, but on the other hand, it shows that the country was unprepared for it. Do you think Russia as a whole, and the Russian leadership in particular, have learned a lesson from this war when it comes to working with the media? DM: I believe that a country that builds its ideology around war is on the wrong path. The lessons need to be learned, no doubt about it. You’ve pointed out one of them yourself, and I completely agree with you. I mean the bias of a number of foreign media and their distinctly anti-Russian propaganda. On the other hand, of course, we do need to be prepared to act in such cases. If something like this, heavens forbid, had happened later, I suppose our response would have been better coordinated. Although, to be entirely honest, I don’t think we made any major mistakes. It is a common perception that Russia wasn't as successful with propaganda, but let’s not forget that we stood by our own beliefs, while most Western mass media followed the narrative of their foreign ministries, they were all working together as one military-political alliance. DM: And before that, as we all know, it happened in Iraq. Libya was torn apart by this war, and there are still regions where the central authorities have not managed to regain full control, just the way we expected. Syria is also on the brink of a similar war. Basically, there’s a civil war raging in the country; it's a disaster. We have always believed that the power to solve Syria's problems should lie with its people. But the active interference that we now see might potentially lead to the same problems and create yet another unstable country, in a permanent state of civil war. DM: The point of no return. RT: Yes, and after that it’s very difficult to convince the warring sides to attempt negotiations. It seems to me that five years ago the Russian leadership tried not to go that far. I don’t know if you would agree with me or not, but as a war correspondent I feel that our Western partners often purposefully push whole nations beyond this point. Would you agree? DM: Our Western partners sometimes behave like a bull in a china shop – they squeeze in, crush everything and then don’t know what to do next. If we’re being completely honest, what good did the Arab Spring bring to the Arab world? Did it bring freedom? A little, at best. In most countries it led to endless bloodshed, regime change, and continuous unrest. I have no illusions about that either. As for the pushing you mentioned, yes, unfortunately, that’s true. RT: You stressed several times that you consider that offensive as Saakashvili's personal crime and that Russia doesn't blame the Georgian people as a whole. And yet your decision to recognize the independence of South Ossetia and Abkhazia affects all Georgians and will probably continue doing so for many generations. Did you really have to take it? So what did we have to do – keep maintaining our peacekeeping mission there? After what happened it was impossible. Many of the people who live there are our citizens. They made up their mind about Georgia back in the 1990s, those decisions were approved by parliaments... But for some time, we thought recognizing independence would be premature. There was still a hope that the Georgian leadership would be able to hold its disintegrating country together. 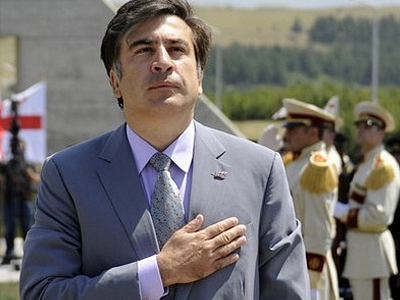 But, unfortunately, that was Saakashvili's crime before his people, before many generations of Georgian people. He himself put the last nail into the coffin of the former Georgian state. He killed those hopes with his own hands . DM: And mineral water, too. RT: Do you think there is a limit that the bilateral relationship will never be able to pass? DM: In this regard, I'm a total optimist. I'm convinced that everything will be fine. Our peoples aren't enemies. Of course, the conflict didn't help but it wasn't based on deep-running disagreements. Again, that was a criminal mistake of certain leaders. But these days the situation is indeed a bit different. The country's new leadership that was brought in by the political and constitutional reforms is taking a more pragmatic stance. We welcome that. I just want to remind that Russia has never cut diplomatic ties with Georgia. We are ready to reaffirm them on certain conditions. And those conditions are simple - just recognizing what happened. RT: Let me ask you a question that may seem somewhat politically sensitive. If, after Saakashvili steps down, Georgia's new political leaders find a way to develop relations with South Ossetia and Abkhazia, would it be possible, at least in theory, for these nations to unite? And would Russia recognize the territorial integrity of Georgia in this case? DM: Everything in this world depends on decisions made by people and on their political will. The choice lies with the people who live there, the people of Georgia and the leaders they elect. The people of Abkhazia and the people of South Ossetia have the power to give their leaders any kind of mandate, and this will be constitutional and in line with universally-recognized international practices. We want them to live in peace. But it’s up to them to decide what relations they will have with each other. We will not interfere with these processes. But of course, we will defend Russia’s national interests. RT: I have one last question. I think that war has become a popular and even trendy geopolitical tool. As someone who has had many meetings with world leaders, why do you think war is so appealing to them? Why is it still such a popular instrument in international affairs? It seems that the more people study war the more they use it. DM: There’s a popular saying that war is merely an extension of politics by other means. Unfortunately, this behavior is quite common. In my political career– which might not be the longest – but nevertheless I’ve been through some difficult situations and I’ve had to make some tough decisions – so, I can tell you that nothing good ever comes out of war. You’ve mentioned a number conflicts… Can you give me an example, can you name at least one country that has benefited from civil war, or from a military intervention by other countries to change its political system? What you see in these countries is nothing but problems. So it is a big mistake to think that you can achieve something positive through war. War is a terrible disaster. And I pray to God we never have to face this kind of situation again.